If you have seen my personal page and maybe follow me on Instagram, you know that I love to travel. Enjoy nature but ofcourse also discover beautiful and inspiring places during a city trip. Two weeks ago I was in Antwerp and of course I visited the wonderful world of Graanmarkt 13. Graanmarkt 13 is a special house in Antwerp, where each floor tells a different story. Founded by Ilse Cornelissens and Tim Van Geloven, it’s a crossover place full of surprises and treasures. 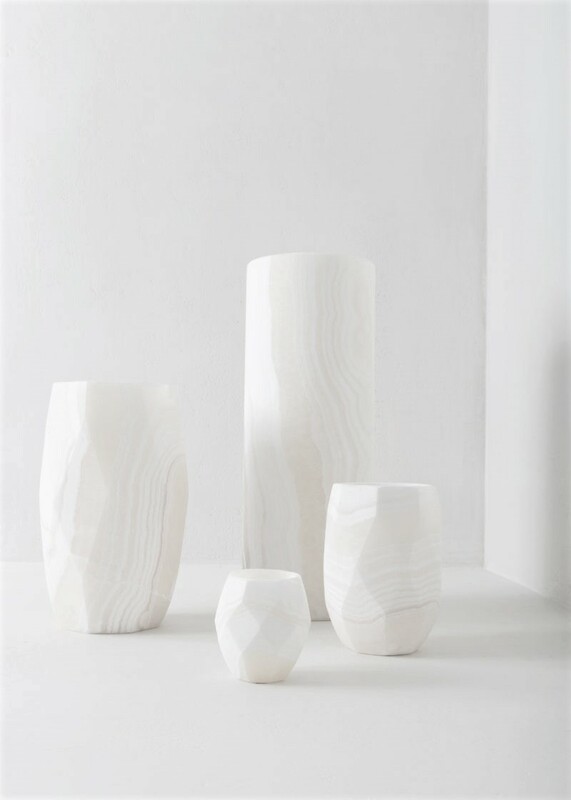 At the first floor I was attracted immediately by the unique and impressive Alabaster collection by Sirocco. It looked just perfect with the different heights and shapes, dont you think so? Sirocco is a Danish family business who introduced the Sirocco products to the Danish market in 2010. The Danish designer Ellen Raven and her husband have for several years lived in the Siwa Oasis in the middle of Sahara. They are in charge of development and production of the Sirocco products – in co-operation with the locals. The design of all products, takes source in ancient handcraft traditions inherited through generations. The name is inspired by the sirocco wind, that blows all the way from Sahara to Europe and brings little grains of sand from one culture to another. A beautiful thought to get to know each other's treasures!